Library makes it easy to quickly find the current copy of company information. As a Librarian, you have ownership (perhaps shared with others) of a particular Library Volume. Library is not intended to replace file shares or for "document collaboration". If you are working to create and refine a document, either by yourself or as a small team of people, Library is probably not the best place to keep your work-in-progress content. Library is also not a place to fill up with messy archives of old files. Don't allow it to become a "dumping ground". Leave archives in your traditional file shares, which you can link to from your Library Volume. A great Library Volume is organized and curated so that people can find the current copy of what they need quickly. Library is intended to be a go-to place for the reference information that employees need from time-to-time. A place where you can quickly find the current copy of forms, budgets, policies and the like. It solves the problem of searching in your file share for "budget" and finding 5 different files all marked something like "budget final". In Library, the budget is quick to find and for sure the final, reference version. Library is intended to hold the golden copy of each key piece of information on your company. After being assigned as a Librarian for a Category, Category Librarians can edit that Category, create and manage Volumes within that Category and assign Librarians to those Volumes. As a Category Librarian, it is very important that you ensure each Volume is assigned a Librarian best suited to manage and maintain the content within that Volume. Click on Library in the Main Navigation. Go to the left navigation in Library and click the Category that you want to edit. Hover over the i-icon next to the Category name. Go the to left navigation in Library and click on your Category. The new Volume will appear at the top of your selected Category. Go to a Volume and hover over its i-icon. To remove someone as a Volume Librarian, open the “Actions” menu that appears to the right of their name in the List Selector and select “Remove”. If a System Administrator deletes one of your Categories, then any Volumes that were contained within it will be moved to the Uncategorized Category. You can access your Volumes in Uncatergorized and move them to any of your other Categories via their i-menu action: "Move Volume to Category". The goal of a Librarian is to provide relevant, up to date and organized information. Library enables you to provide quick access to key documents, forms, links and videos with the people in your organization. Your Library Volume was set up for a particular topic -- as a Volume Librarian you are expected to the subject matter expert on this topic. As a Volume owner, it is up to you to keep its content current and organized. If you go to where your Volume appears in the Library left navigation and hover over the i-icon, the Volume’s i-menu will appear. This contains all the details of your Volume as well as the actions that can be taken on it by Volume Librarians. Actions that can be taken by the Category Librarian also appear there, but will not be enabled for Volume Librarians. Note that the Visibility (viewing permissions) for each Volume is set by the Category Librarian. If a Volume indicates it has restricted visibility, clicking on that link will show exactly who has permission to view it. With your Volume open, click on Add New from the Action Bar at the top of the screen and select "New Folder". 2. Next, name your folder and click Create. Note that new Library Volumes arrive with the first folder already activated and named "New folder". You can hover over this Folder to rename or delete it. Locate and click on the folder in Library where you want to add your document. Go to the Action Bar at the top of the screen and select Add New > Upload from computer. Select the file you wish to add to Library . Your upload will begin and you will see the below screen. (If the upload is a big one, you can click the Minimize icon at the top right and then work elsewhere in the platform while the upload proceeds). Once the upload is complete you can click on "Clear successful batches" to remove the upload screen. TIP: If you wish to send a notification to everyone who has permission to view the file, just right-click over the item and select "Notify viewers of update" from the popover menu. NOTE—the uploaded file (in Library ) is a copy of the original. The original version remains at its original location. You can also upload multiple files at once using your browser's native multi-select capability (Note - IE 9 and below DO NOT support multi-select). Create and/or navigate to a folder in a Library Volume. Go to the Action Bar and select Add New > Upload from computer. Press ctrl-a to select all the files in that folder. Click on a file, hold shift and click another file to select those two files and all files in between. And then click Upload and all the selected files will upload. TIP: You can also use drag-and-drop to copy multiple files or complete folders over from your hard drive right into a Library Volume (folders will retain any sub-folder structure as well). There is no upload size limit* but uploading very large files can be time consuming. Filenames should always contain a file extension that reflects the real format of the document. Make your updates to the master copy in your hard drive. Go to the copy of the document in Library and select "Upload updated version" from its popover menu. Select and upload your master copy from your hard drive. NOTE - The uploaded document will overwrite all the content in the Library version except for the title. Go to the document in Library and from its popover menu, select “Download”. Make updates to the downloaded copy on your hard drive. Go back to the Library copy's popover menu and select “Upload updated version”. Select and uploaded the updated copy from your hard drive. Retain its original title (using "Upload updated version" will overwrite all the content of a document in Library except its title). NOTE—you can notify viewers of updates by hovering over an item after if has been updated and selecting "Notify viewers of updates". A Google Drive sub-menu will appear on the “Add New” menu. From here you can copy existing items from your Google Drive to your Library Volume. You can also create new Google items (Docs, Sheets, Slides, or Forms) from the sub-menu that automatically save to your Volume once you title them (then just double-click on the newly-created item and it will open in a new browser tab, ready for editing). The Jostle Library folder will appear in your Google Drive > Shared with me folder (when logged in under your Jostle username). Visibility permissions set on any volumes in Library will remain intact in Google Drive. In addition to the methods available in the “Add New" menu, you can use drag-and-drop to upload files and folders directly to your Library Volumes (dragged-and-dropped folders will retain any sub-folder structures). There's no upload size limit in Library, however you must have enough personal space in your Google Drive for your files to be copied. 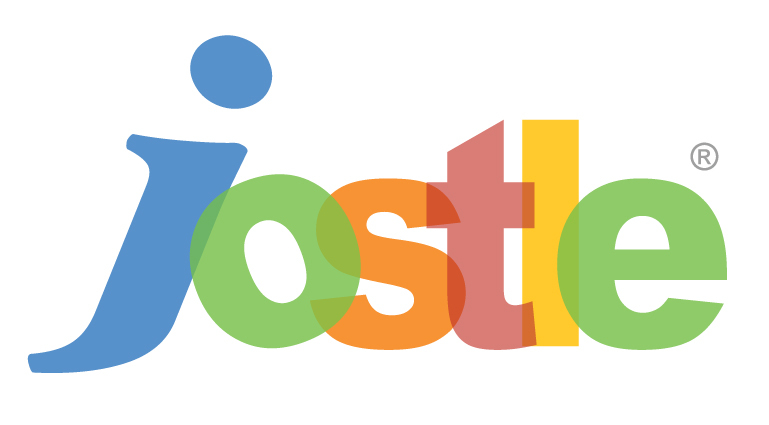 Every document that gets added to your Jostle Library will be automatically added to your Google Drive > Shared with me > Jostle Library folder as well (including new Google items that you create in Library). See this article for more information on Library /Google Drive integration. Either action will open the doc in Google Drive and any edits made will be reflected in real time in the Jostle Library as well as Google Drive. This real-time editing and updating feature makes it easy for a group of collaborators to work on the same doc and not have to worry about multiple versions floating around or losing track of a document being passed from person to person for updates. If you upload a doc from your personal Google Drive folders to your Jostle Library, you will now have two copies of the doc in your Google Drive: the one in your personal folder and the one in your Shared with me > Jostle Library folder. After importing your document from Google Drive, delete it from your personal folder, making the one in your Shared with me > Jostle Library folder the only one in your Google Drive. Edits can then be made directly to this version without the worry of potential confusion with your now-outdated original version. After importing your document from Google Drive, rename it in your personal folder (for example “Title_Original Version” or Title_Do Not Edit”) and move it to an Archive folder, so it will not get mistaken for the current version (in your Shared with me > Jostle Library folder). It's normally faster to use the "Upload from computer" option to select from your local copy of Google Drive, rather than using "Import from Google" and going to the cloud copy of Drive. Locate the deleted file, click it, and select "Restore"
This will restore the document to it's former location in Google Drive > Shared with me > Jostle Library, but not to your intranet Library (it will have to be re-copied there via the "Add New" link in the Library Action Bar). *NOTE—If your jostle librarian account hasn't been configured yet, the Google Admin can go to Users > jostle librarian and select "Reset Password" to do so. If your users encounter problems accessing files or actions in your Library, it may have to do with your Google Admin setup. For more information, refer here. 1. Right-click an item in Library and select "Recommend"
3. In Tile view, the Recommend "R" will be a fixed visible feature, whether it's greyed-out or red. To remove a Recommendation, right click over an item (or click the Action Menu icon to the right of the "R") and select "Undo recommendation". Copy the URL (web address) for your link destination from your browser. Navigate to the folder you want to add the document to and hover over ADD ITEMS in the Action Bar. Click on New Link, which will open the modal screen show below. Paste the URL into the Web Address field. Type a clear name for your Link and click Create. However, it is not recommended that you link to files in your Google Drive as an alternative to importing copies of them to your Jostle Library. The contents of linked documents do not get indexed in Search, and will not show up as a match for any search made, no matter how relevant. 1. Navigate to a folder and select the checkboxes next to file and/or folders you want to move. 2. Right-click over one of the selected items to pull up the Action Menu and select "Move". 3. This will take you to the Organize modal. Click on the folder you want to move the items to. It will highlight in color (orange in the example below). Librarians can download data on how their files are being consumed, including the number of views and downloads, by clicking on Export Volume usage stats in the i-menu of their Volume. Alternatively, if you click on the Filter icon in the action bar you will have the option to sort all the files in your volume according to views or downloads, which will help you to quickly see which documents are being accessed the most. Librarians can export the entire content of their Volume to a zip file by clicking on Download to Zip in the i-menu of their Volume. 1. Navigate to the Library Volume that currently has the content. 2. Select the folders and files that need to be moved. Selected files will be highlighted in blue. Click to select/deselect a particular item. 3. Click Download in the Action Bar. The contents will be downloaded in a compressed zip file labelled 'libraryDownload.zip'. 4. Extract the contents from the zip file using your computers files system. 5. Navigate to the destination Library volume. 6. Click Add New > Upload from computer in the Action Bar. Note: Folders cannot be uploaded at the moment (in the example below the Documents folder was not uploaded). To work around this limitation, create the folder structure you need in the new Volume before you start uploading files. By multi-selecting files you can batch upload per folder. 7. If you want, you can remove the content from the original Volume by selecting them and clicking Manage > Remove in the Action Bar. 2. From the popover menu select "Info"
4. Follow the onscreen prompts to add and adjust your image. 6. After you have added your thumbnail image, you will now have the options to Change thumbnail and Remove thumbnail displayed on the info screen. When looking at this report what is the timeframe captured? Is it displaying annual views/downloads (monthly, quarterly)?